Being a writer – be it a creative writer, technical writer, journalist, blogger – is fantastic. However, as every profession, writing comes with its burden, as well. Namely, we all have faced a writer’s block, lack of inspiration, creative stagnation, and similar culprits at some point when writing. In fact, these things are very common, and occur to the best of the best. Even famous writers such as Maya Angeloy, Neil Gaiman, Norman Mailer, and the like, struggled with a writer’s block during the course of their brilliant careers. It can be very frustrating when you have the ideas in your head, but somehow they won’t come out on paper (or your Word file). For that reason, we compiled a list of the 9 best writing blogs which you can help you with your writing ordeal. It is widely known that Ernest Hemingway used to rewrite his favorite books on his typewriter several times in order to improve his style by embodying the style of other great writers. This is an excellent technique for the struggling writer – for even though rewriting may seem like a tedious task; it has proved to be worthwhile on the long term. Brilliant writers such as Kurt Vonnegut, Virginia Wolf, Sylvia Plath, David Sedaris – and many, many more – are known to be voracious readers, which one could easily assume. ‘’Reading and writing go hand in hand, so it can be said that it takes both to read and write in order to be a successful writer.’’ – said Pete Horns, writer at Assignment Masters. Of course, there are many tips and tricks when it comes to writing, and these tips and tricks can easily be found when surfing the World Wide Web. What is more, nowadays there are a plethora of writing blogs which can aid the struggling writer with their pieces on writing and overcoming the creative block. So, without further ado, we present to you some of the best writing blogs you can use to aid you with your writing process. Jeff is a best-selling author of several books, including The Art of Work. On his blog, Jeff writers about creative work, as well as the writing process itself. As he puts it, Jeff believes that everyone has a creative gift which is worth sharing with the rest of the world. That is why he shares his advice on writing, and helps passionate writers with their book ideas, business ideas, and similar writing projects. On his blog, Jeff publishes one new article, as well as one new podcast every week. This blog is an excellent resource for one to get started on their writing. White on the topic of resources, this blog offers several – some of which are free, and some of which are not. The advantage of using these resources is that Jeff has used all of them himself, so they are Jeff-approved. Some of the resources featured on Jeff’s blog include the following: web hosting and design resources, such as Bluehost; blogging tools, such as WordPress, Tribe Theme, Genesis Framework; writing resources, such as The War of Art, The Writer’s Studio, On Writing Well; resources on email marketing, such as Mailchimp, Feedburner, Sumo; communities and courses, such as Intentional Blogging, Fizzle; Marketing resources, such as Platform; as well as publishing resources, such as The Unconventional Guide to How to Publish Your Book, and Writing a Winning Book Proposal. All in all, this blog is a great source to follow if you want to improve your writing skills and delve deeper into the world of writing. This blog is great for the deliberate practice of writing. Joe Bunting and Liz Bureman, the authors of this blog, found a way to boost writing creativity in an interesting way. As they put it, every person, in every art, needs to practice: Michael Jordan practiced, Tiger Woods practiced, Bill Gates practiced, even Pablo Picasso practiced ever since he was a little boy. Therefore, writers need to practice, as well. According to the authors of this blog, most writers don’t practice and believe they were born with a certain talent which they cannot nourish to perfection. Bunting and Bureman oppose this statement – they believe that everyone can become a brilliant writer, as well as that everyone has something important they need to share with the world. And, of course, all of this can be achieved by – you guessed it – practice! The authors of this blog encourage aspiring writers to get their best writing published by practicing fifteen minutes a day, five days a week. They believe that one can find their writing voice through learning on the ways in which great writers found theirs. This blog offers excellent resources, such as writing prompts, lessons on writing technique, as well as a large community which offers support – and feedback! – to the aspiring writer. Jane Friedman is a media professor with more than 20 years of experience in the publishing industry. On her blog, Friedman writes about the effects of technology on writers. As Friedman herself puts it – she believes that the digital age has the power to transform writing careers, as well as publishing and storytelling. In her opinion, the Internet can be a useful tool in the evolution of authorship, and history is on the side of the writers. Owing to Friedman’s experience in media and publishing, she can offer useful advice on how to use the contemporary era changes in the writers’ favor. 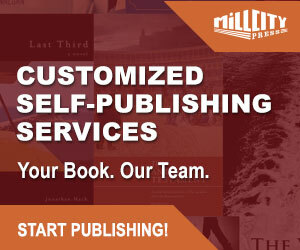 You can find a multitude of useful tools and resources on this blog, for instance: articles on how to get your book published, articles on how to self-publish your book, articles on how to write a book proposal, articles on how to find a literary agent for your book, and many more. You can subscribe in order to receive emails which will include the full text of each new blog post on a daily basis, or you can subscribe to receive a weekly e-mail digest of new blog posts – this will save you time from surfing on the web, and consequently, you will have more time to dedicate to your writing. The Creative Penn – an excellent wordplay title of Joanna Penn’s writing blog. This blog offers a wide content of articles on writing, publishing, as well as book promoting. The author Joana Penn is a bestselling author of thrillers, as well as a podcaster and a Youtuber, so you can be sure that she knows what she is talking about. 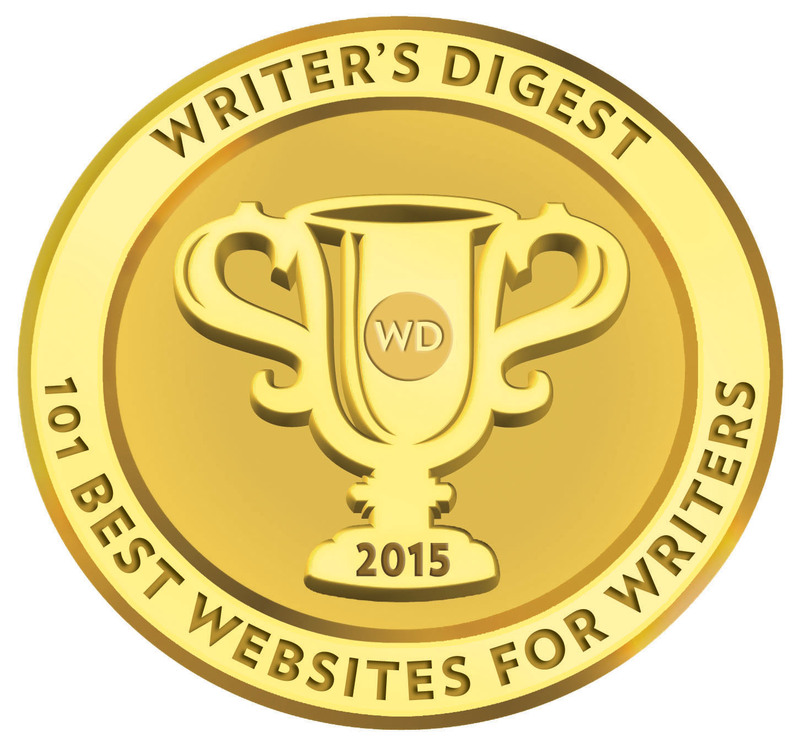 What is more, Penn’s website found its place in the Top 100 sites for writers by Writer’s Digest. 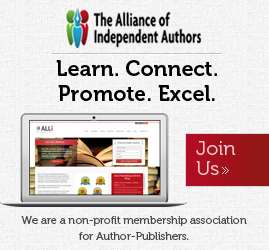 Their motto is simple: “Writers helping writers”. This blog offers an abundance of tools, resources and guides not just for writers, but teachers and editors alike. The only limitations are your research skills, since they offer a wide range of articles, blog posts and podcasts which help both young and experienced writers. After all, there is no such thing as too much experience and knowledge. Angela Ackerman and Becca Puglisi are experienced writers, prolific authors and public speakers whose goal is to elevate writing in general to a new, more prominent, level in society. One of the key features of this blog is innovation. Namely, the blog is constantly adapting and improving to cater to an audience as wide as possible, from bloggers to hard-core fiction writers. Moreover, aside the usual tips and tricks of the trade, the site encourages social networking among writers, making it a powerful tool for sharing ideas, experiences, topics, motives and, most importantly, boosting collaboration. There is something for everyone – the blog is divided into handy categories which should help any writer or future writer navigate through the abundance of content. Some of the categories include: guest posts, tips and tricks, balance of writing, suggestions for motives and topics, publishing, book reviews, social networking, helpful software, how to do business, resources, writing groups for peer review, how to build a plot, etc. Make sure to check out this blog – it’s a resource which fits everyone’s needs. Romance University is a blog which is aimed towards the more prominent and experienced writers. It contains an abundance of professional recommendations provided by the most prominent authors in the trade. If you need general tips and tricks, keep on looking. This blog offers a variety of posts which should help established authors elevate their writing, form both technical and business perspective. They offer advice on highly specific topics, such as: character profiles, professional editing, citation and quoting, how to pitch a book to possible publishers, profiling characters, self-publishing, marketing and promotion, writing for the audience, abiding a genre, etc. The most interesting aspect of the blog is that the authors have a hands-on approach towards writing. Nothing about this blog is general – on the contrary, all that the authors are concerned about is practical advice, especially for those who know what they’re doing. Moreover, there are resources for future workshops and conferences for the ones who are willing to walk the extra mile in order to push their work to the next level. Lastly, the blog has a separate section for personal experiences on various topics written by prominent published authors, with the purpose of illuminating their colleagues about the long and thorny road towards publishing. This blog’s author is the screenwriter and bestselling author Chuck Wending. It goes without saying that Wending has plenty of useful advice and information about writing. You can find a variety of free stories on this blog, which may aid you with your writer’s block and stagnation of inspiration. Additionally, Wendig’s blog has great articles on writing, for instance – Your First Draft Does Not Require Your Faith In It, which can help put you on your writing track even when you do not feel like writing. 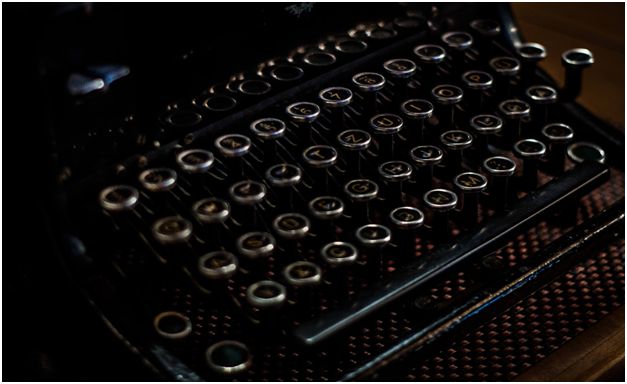 A variety of different topics about writing are featured on this blog, so if you are looking for a source of inspiration, this blog can be a good starting point! Browse through the blog posts and choose whichever one suits your specific writing situation. You can also subscribe to this blog in order to receive notifications when a new article has been posted. This can further aid you in your writing. This blog’s author is Patrick Ross, who is a renowned writer who used to be a journalist. In Ross’s words, his blog is “an ongoing conversation among the blog’s author and its readers regarding the challenges and rewards of pursuing an art-committed life.” So, there you have it, the pursuit of art can be challenging, however, there are a lot of tools available to aid that process. Make sure to give them a read, for they can be truly helpful in defeating that writer’s block! This blog is all about “helping writers become authors”. The blog’s author K.M. Weiland is an expert in creative writing who offers useful advice on improving one’s writing. Weiland believes that “stories are like breathing”. She believes that a life without stories is a vapid life, and stories serve as great means for us to live our lives on the page. Advice which Weiland shares on writing is to set aside an hour or two, five days a week to write. This is a good practice for aspiring writers, since it can really help the struggling writer acquire a habit of writing every day, even if inspiration does not come that easily. Revising, editing, and proofreading come much more easily when you have written something. Weiland suggests that sometimes it may take a couple of years for a good book to be written, but this in no way should discourage the aspiring writer, since many writers are known to have written their best works over the course of many years. On her blog, Weiland offers plenty of other resources, as well, such as reading guides, tips of how to outline your novel, how to structure your story, how to write character archetypes, how to structure scenes, and many, many more. So, if you are ready to approach art with passion and discipline, this blog is worth checking out. In conclusion, writing can be an acquiring process – however, the end results can outshine every obstacle met during the arduous writing process. The above listed writing blogs can really boost your writing skills and aid your writing process – all it takes is patience and, of course, hard work. Therefore, if you are an aspiring writer, you should bear in mind that great success comes with great work and practice. 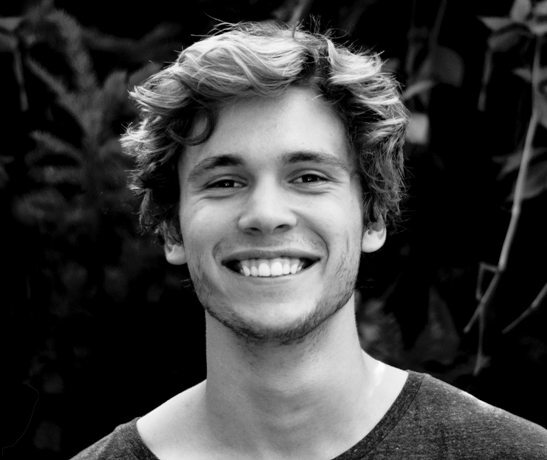 Joe McLean is a dedicated, full-time freelance writer for Assignment Masters. He has the busiest schedule you can imagine due to the popularity he enjoys online. Even so, he still manages to work at his own pace and have an amazing social life. Joe says that he gets all the work done because he has discipline, and that this is what gives him the motivation to do it all in the first place.